In a food processor combine almond meal, cocoa powder, coco shavings, walnuts, and protein powder until well combined. Add in peanut butter, and coconut oil, and sugar substitute & pulse until thoroughly incorporated. 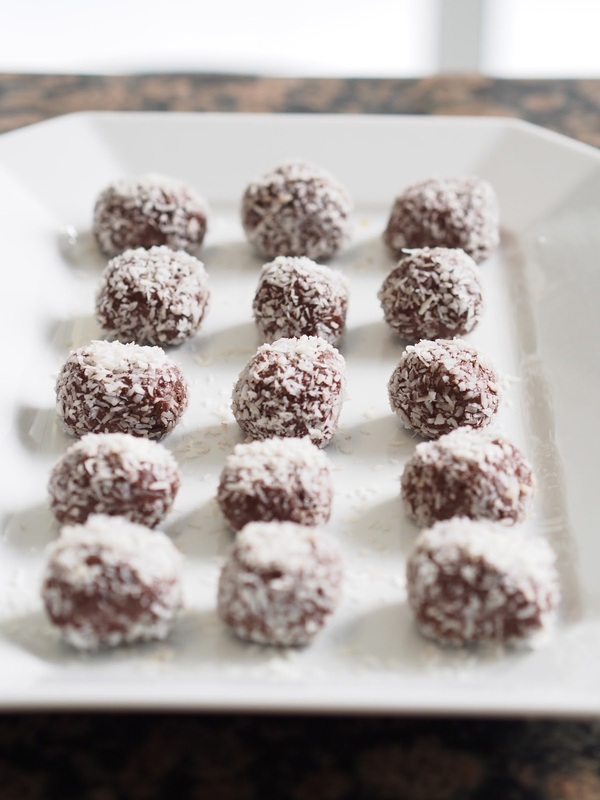 Roll into small balls, and gently coat the outsides with unsweetened coconut flakes. Refrigerate for at least one hour before tasting. Store in fridge, or they can be frozen for up to 1 month.